Law No. 30 of 2007 on Energy (the Energy Law) and Law No. 30 of 2009 on Electricity (the Electricity Law) are the main laws that govern the electricity sector in Indonesia. Their implementation is regulated under Government Regulation No. 14 of 2012 on Electricity Supply Business Activity, as amended by Government Regulation No. 23 of 2014 (GR 14/2012). Additional regulations are enacted at the presidential, ministerial and director general level to administer technical matters, such as the procedures to obtain licences for electricity business, sale of power, and national and transnational interconnection. Provincial governments may also issue electricity regulations in line with the Electricity Law by the laws and regulations on regional autonomy. After the enactment of Law No. 23 of 2014 on Regional Government, as last amended by Law No. 9 of 2015 (Law 23/2014), local government authorities (those of regents and mayors) have been reassigned to the provincial governments (governors). As electricity is deemed vital and strategic, the business of electricity is controlled by the state and held by state-owned and region-owned enterprises, the main such company being PT Perusahaan Listrik Negara (Persero) (PLN). To increase the electricity supply, the private sector is also given the opportunity to participate in the sector. The government requires that electricity be provided in enough, reliable in quality and reasonable in price or tariff for the welfare of the people and to achieve sustainable development. At the policy level, there is a national electricity blueprint endorsed by the government, which outlines the development of the electricity supply system. The blueprint refers to the national energy policy, which is drafted by the National Energy Council and ratified by the government following consultation with parliament. The national energy policy includes policies on energy supply for national demand, priority of energy development, utilisation of domestic energy resources, and domestic energy support reserves. In 2014, a national energy policy was ratified under Government Regulation No. 79 of 2014 (GR 79/2014 or the National Energy Policy), setting the plan for national energy management to ensure domestic energy security and support sustainable development. The National Energy Policy was further implemented through Presidential Regulation No. 22 of 2017 on National Energy Plan (the National Energy Plan). The National Energy Plan provides central government policies on national energy development through 2025, consisting of, among others, current energy conditions and expectations for the future. increase electricity utilisation per capita to 2,500kWh by 2025 and 7,000kWh by 2050. Further, the national electricity supply plan is implemented through a decree issued by the Minister of Energy and Mineral Resources (MEMR) No. 1567 K/21/MEM/2018 on the Ratification of the Electricity Supply Business Plan of PLN for the period 2018 through 2027 (known as the 2018 RUPTL). An RUPTL provides, among others, a general policy on development of electricity and electricity infrastructure, an update on annual electricity grid status, development of new and renewable energy, supply of primary energy, investment needs, analysis of long-term risks and possible mitigating actions in PLN’s electricity business area. The 2018 RUPTL changes the electricity supply plan by prioritising the development of Mine Mouth Steam Power Plants (Mine Mouth PLTU) and Wellhead Gas Power Plants, Combined Cycle Power Plants, Gas Machine Power Plants (Wellhead PLTG/PLTGU/PLTMG) at PLN’s electricity business area and targeting more new and renewable power plant construction and operation as well as coal fired power plants for the purpose of achieving optimum primary energy in accordance with the National Energy Policy. Power generation, transmission, distribution and sales may be operated in an integrated manner by one business entity within a business area determined by the government. Electricity generation, transmission, distribution and sale for public use may be organised by business entities owned by the state and local government, as well as by the private sector under an Electricity Supply Business Licence (IUPTL). PLN, a state-owned enterprise, is the dominant market player and is the primary contributor to the public supply of electricity. Electricity generation is also allowed for self-use, which requires an operational licence for capacity above 200kVA, a Registration Letter for capacity of 25kVA to 200kVA, and merely a Report to the Director General of Electricity (DGE) for capacity up to 25kVA. Companies in Indonesian industrial zones often generate electricity for self-use and sell any excess power to PLN for use on the Indonesian power grid. Construction and operation of a power generation facility requires an IUPTL issued by the relevant provincial or central government authority. Further, since the enactment of Government Regulation No. 24 of 2018 dated 21 June 2018 on the Integrated Electronic Licensing Services for Business (GR 24/2018), the application of IUPTL, whether falling under the jurisdiction of the provincial or the central government, is conducted through the Online Single Submission (OSS) System operated under the supervision of the Coordinating Minister for Economic Affairs (Menko Ekon) (whose authority will be reassigned to the Capital Investment Coordinating Board (BKPM) by January 2019). A power purchase agreement between the IUPTL applicant and its buyer (commonly, PLN) is a prerequisite to obtaining an IUPTL. In terms of constructing generation facilities, an IUPTL holder may subcontract the construction to a qualified construction service provider through an engineering, procurement and construction (EPC) contract. In addition to the laws and regulations governing construction services in general, providers for electrical installation are also governed by the Electricity Law and its implementing regulations, specifically, MEMR Regulation No. 35 of 2013, as amended by MEMR Regulation No. 12 of 2016, on Electricity Business Licensing Procedures (MEMR 35/2013), which classifies electrical installations as electricity supporting services, which require an Electricity Supporting Services Business Licence (IUJPTL). Prior to the commencement of construction, an IUPTL holder must secure several licences from the regional or provincial government. These local licences are now regarded as commitments in the relevant IUPTL which must be fulfilled by the holder in a certain period as subsequent conditions, among others, a building permit (IMB), location permit and environmental licence. Compensation to any party whose assets (land, buildings or plants) are directly or indirectly affected must be settled prior to commencing construction. Further, in accordance with MEMR Regulation No. 5 of 2014, as amended by MEMR Regulation No. 10 of 2016, on Electricity Procedures and Certification (MEMR 5/2014), prior to the operation of generation facilities, the IUPTL holder must obtain an operational feasibility certificate (SLO) issued by the OSS Agency on behalf of an institution accredited by the MEMR and registered with the DGE, subject to a physical assessment by the technical team from the institution. Generation facilities are connected to the transmission grid subject to a power purchase agreement or a grid lease agreement in accordance with an electricity supply business plan from the transmission operator. Before connecting to the grid, an electricity installation must satisfy safety and equipment standards determined by the MEMR by securing an SLO from an institution accredited by the DGE. The use of renewable energy sources is encouraged at the policy level through the endorsement of the National Energy Policy, which aims to achieve the best possible energy mix for power production in Indonesia. The National Energy Policy provides that by 2025, energy consumption from new and renewable energy (biomass, nuclear, solar, wind, etc) should reach more than 23 per cent of total energy consumed and that the use of oil should be reduced to less than 25 per cent. Since 2010, PLN has been provided with a fast-track programme for the development of coal-fired power plants, as well as the use of renewable energy and gas. Pursuant to MEMR Regulation No. 40 of 2014, there are 58 power plant projects and 40 transmission projects listed as fast-track private public partnerships involving coal, geothermal, water and gas-fired power plants. Further, Presidential Regulation No. 4 of 2016 on Development of Electrical Infrastructure (PR 4/2016), as last amended by Presidential Regulation No. 14 of 2017, provides that for development of generation facilities using new and renewable energy, the central or regional government may give government support in the form of fiscal incentives, feed-in tariffs and outright subsidies. Regarding feed-in tariffs, the MEMR recently issued MEMR Regulation No. 50 of 2017 on the Utilisation of Renewable Energy for Electricity Supply (MEMR 50/2017), which regulates a new appointment method and purchase price by PLN from renewable power plants. MEMR 50/2017 provides that power purchase from power plants utilising renewable energy will be made through direct selection, whereas power purchase from renewable power plants that have high dependency on the weather (solar and wind) will be made through direct selection with capacity quota. The regulation further provides that power purchase prices by PLN from renewable power plants will be determined based on a tariff that does not include the electricity distribution price (BPP). As regulated under MEMR Regulation No. 24 of 2017 on the Mechanism for Stipulation of BPP by PLN, both the Local BPP and the National BPP will be determined every year by the MEMR. The prevailing BPP is currently determined through MEMR Decree No1772 K/20/MEM/2018 on the Amount of BPP by PLN for Year 2017. For power plants utilising solar, wind, biomass, biogas and tidal or ocean thermal energy conversion, if the local BPP is higher than the national BPP, the maximum power purchase price by PLN is 85 per cent of the local BPP. If the local BPP is equal to or less than the national BPP, the power purchase price may be determined based on the consent of the parties. For power plants using hydro, municipal waste or geothermal, if the local BPP is higher than the national BPP, the maximum power purchase price by PLN is equal to the local BPP. If the local BPP is equal to or less than the national BPP, the power purchase price may be determined based on the consent of the parties. As part of a commitment to reduce the CO2 emissions from deforestation and forest degradation, since 2010 the government has suspended the issuance of new mining licences in areas that are specified as primary natural forest and peat land (including conservation and protected forest areas). This reduced the potential amount of coal that can be produced for coal-fired power plants in Indonesia. However, given the abundance of cheap coal in Indonesia it is arguable whether this policy will have a substantial impact on the construction and use of coal-fired power plants. There are currently no regulations on electricity storage. In general, the Energy and Mineral Resources Research and Development Body (LITBANG) under the MEMR is responsible for research and development in the fields of oil and gas, electricity, minerals and coal, new and renewable energy, energy conservation and sea geology. The authority of LITBANG includes organising technical policies and implementing research and development. Both legislation on nuclear energy and the National Energy Policy encourage and provide the opportunity to develop nuclear power plants. However, to date, Indonesia has no commercial nuclear power plants, mainly owing to public resistance to nuclear power on health, safety and liability issues and the historical recognition of nuclear waste as a hazardous material. The development of nuclear power plants in Indonesia so far goes no further than for research under the supervision of the national nuclear agency (BATAN). Based on GR 14/2012, an IUPTL is required to engage in the transmission business. This may be an IUPTL specifically for transmission, or an integrated IUPTL for power generation that also permits transmission activities. To obtain an IUPTL, the applicant is required to submit a transmission network lease or joint use agreement with the candidate user of the transmission network in addition to other administrative and technical requirements regulated under MEMR 35/2013. In accordance with GR 24/2018 and the most recent Regulation of BKPM, the issuing authority of an IUPTL is now the OSS Agency on behalf of the relevant central or provincial government. Authority will be reassigned to BKPM within six months after July 2018. The OSS Agency on behalf of the central government is authorised to issue IUPTLs to entities whose business areas are cross-province, state-owned enterprises, and those who sell electricity or lease off the electricity grid to an IUPTL holder. The OSS Agency on behalf of the provincial government is authorised to issue IUPTLs to entities whose business areas are cross-regency and who sell electricity or lease off the electricity grid to an IUPTL holder. Further, the OSS Agency on behalf of the provincial government is authorised to issue IUPTLs to entities whose business areas are within a single regency or city and who sell electricity or lease off the electricity grid to an IUPTL holder whose licence was granted by the local government. In addition to the above, after the issuance of IUPTL, the applicant must fulfil commitments to secure an IMB, location permit, and an environmental licence from the OSS on behalf of the local government and must compensate any party whose assets (land, buildings, or plants) are directly or indirectly affected by the transmission network. Before commencing operation, a transmission installation must secure an SLO issued by an accredited technical inspection institution. Private investment in power transmission and distribution in Indonesia is very rare to date, as transmission and distribution historically have been monopolised by PLN. Any party that provides power to the grid (including an IPP) and that holds an IUPTL may have access to the transmission or distribution grid to supply power to the public. Specifically for IPPs, access to the grid is subject to the PPA with PLN governing the terms of the IPP’s electricity transfer to PLN’s transmission grid. Other than the above, access to the grid may also be obtained through a lease agreement between the holder of an IUPTL for transmission and the user of the grid. The fee for such lease must be approved by the MEMR or governor, according to their jurisdiction. An IUPTL holder who produces power and owns and operates a transmission network is also eligible to access transmission and distribution networks. Utilisation of transmission or distribution networks for telecommunications, multimedia and information purposes is permissible, subject to a licence issued by the OSS Agency on behalf of the MEMR, provided that such utilisation does not compromise power supply in the area. Since 2010, the government has assigned PLN to develop electricity infrastructures to meet the target of 35,000MW power generation and 46,000km transmission grid across Indonesia, particularly with the issuance of MEMR Regulation No. 15 of 2010 on List of Fast Track Projects in Renewable Energy, Coal and Gas Power Generation and the Relevant Transmissions, as amended four times, lastly by MEMR Regulation No. 40 of 2014. Consistent with this objective, PR 4/2016 specifically provides government financial support for the development of electrical infrastructures, including transmission grids, by PLN through an independent management scheme. Despite the regulations allowing private sector involvement in electricity transmission, the historical monopoly on transmission by PLN is expected to continue for some time. The expansion of transmission networks by the private sector may likely take longer to realise, considering that the government incentives to encourage the development of transmission networks for private entities were only just introduced in early 2016. They are, among others, in the form of delegation of land acquisition to government institutions on behalf of private entities, and an increase in foreign ownership permitted in mid-high-voltage electricity. The tariff for leasing transmission services is regulated by the government (ie, MEMR, governor), depending on the location of the transmission network. Transmission services may be leased through a network lease agreement between the transmission operator and another transmission operator. The parties to a network lease agreement, through a Transmission Business Entity, may propose the price of power transmission by submitting a written application to the MEMR or governor for approval pursuant to MEMR Regulation No. 1 of 2015 on Cooperation for Electricity Supply and Joint Utilisation of Electrical Grid. The approved price or fee from the relevant authority may be in the form of a benchmark price. The MEMR, through the DGE, is responsible for assuring the reliability of the transmission grid. An inspector from an accredited technical inspection institution will issue an SLO in connection with the installation and operation of the transmission grid. In the event of non-compliance, the inspector may recommend suspension of the activities of the service provider, which may result in revocation of its operational licence. An IUPTL is the main licence needed to construct and operate distribution networks. The IUPTL can be issued specifically for distribution, or distribution can be included in an integrated IUPTL that covers generation, transmission and sales. The OSS Agency on behalf of the MEMR or the provincial government, depending on the jurisdiction, is the relevant authority to issue an IUPTL. a distribution network lease or joint-use agreement with the candidate user of the distribution network. The stipulation of an electricity business area (WIUPTL) as a pre-requisite to apply for an IUPTL for distribution is subject to the procedures outlined in MEMR Regulation No. 28 of 2012 as lastly amended by MEMR Regulation No. 7 of 2016 on Procedures for Application for WIUPTL for Public Interest. Note that there may be only one business entity in each WIUPTL. A WIUPTL may be granted only if the territory is not yet reached by a business entity covering a WIUPTL or if the business entity covering a WIUPTL in such territory is not capable of meeting electricity demands. Like transmission, despite the regulations allowing private sector involvement in the distribution business, the historical monopoly on distribution by PLN as the holder of most WIUPTLs in Indonesia is expected to continue for some time. Like the transmission sector, the distribution applicant must also fulfil commitments stipulated in the form of a building permit (IMB), a location permit and an environmental licence from the local government and settle with any party whose assets (land, buildings or plants) are directly or indirectly affected by the distribution network. Any party that provides power to the grid (including an IPP) and that holds an IUPTL may access the distribution grid to supply power to the public. Access to the grid must be evidenced by a lease between the holder of the IUPTL for distribution and the user of the grid. The fee for such a lease must be approved by the MEMR or governor. Utilisation of electricity distribution networks for telecommunications, multimedia and information purposes is permissible, subject to a licence from the OSS Agency, provided that such utilisation does not compromise power supply in the area. Similar to the transmission business, distribution is technically open to the private sector. However, in practice, even private IPPs are still relying on PLN’s distribution grid to supply their power to end users. In terms of regulator involvement, MEMR Regulation No. 4 of 2009 on Provisions on Electricity Distribution stipulates a code of conduct for the distribution business, including standard policies for distribution, connection, operation, planning and settlement. Government incentives for private sector distribution business are not currently available. The tariff for the lease of distribution services is regulated by the government (MEMR or governor) depending on the location of the distribution network. Distribution, as well as distribution services, may be leased through a network lease agreement between the distribution operator and another distribution operator. The parties to the network lease agreement may propose the price of power distribution by submitting a written application to the MEMR or relevant governor. The approved fee may be in the form of a benchmark price. Indonesia recognises two types of power sales: from one IUPTL to another IUPTL, and from an IUPTL holder to end users. expansion of power plant capacity in the same operating power station in the same area. If power sales are in the framework of diversification of energy for non-fuel power generation, then the purchaser may compare and choose from at least two bidders that have submitted proposals. Yes. As mentioned in question 18, there are two types of power sales and, therefore, there are two types of tariff. Basically, for on-grid power sales (from one IUPTL to another IUPTL), the tariff is developed through a public tender process with the agreed price approved by the relevant authority (MEMR or the governor). The government has provided several feed-in tariffs for purchase of electricity from IPPs for certain power generators (eg, MEMR Regulation No. 50 of 2017 on the Utilisation of Renewables for Power Generation and MEMR Regulation No. 19 of 2017 on the Utilisation of Coal for Power Generation and Purchase of Excess Power). In Indonesia, the term ‘tariff’ is used in connection with the price of electricity to end users. Pursuant to GR 14/2012, tariffs for electricity sold to consumers are determined by the MEMR or governor, subject to approval by the provincial or national house of representatives. For PLN, as a state-owned enterprise whose licence is granted by the central government, the tariffs are determined by the MEMR. The prevailing tariff for PLN is stipulated from time to time and lastly under MEMR Regulation No. 28 of 2016 on the Tariff of Electricity Supplied by PLN (MEMR 28/2016), as last amended by MEMR Regulation No. 41 of 2017. In such regulation, tariffs vary depending on the use of the electricity (for example, for household, business, or industrial purposes, or for wholesale) and the power of electricity (for example, 450VA). In Indonesia, the electricity supply sector is monopolised by PLN, and the electricity tariff provided by PLN is divided into two categories: a regular post-paid tariff and a prepaid tariff. Electricity is considered a good with a strategic purpose and is therefore exempted from VAT, except for in housing with capacity of more than 6,600W. Like power sale tariffs mentioned in question 19, wholesale power tariffs are determined by the MEMR or governor, subject to approval from the provincial or national house of representatives, depending on where the wholesale power is generated and sold. For wholesale electricity provided by PLN pursuant to MEMR 9/2015, the threshold for wholesale electricity is electricity above 200kVA. The underlying constitutional principle of the Electricity Law is article 33 of the 1945 Constitution of the Republic of Indonesia, which stipulates that sectors of production that are vital to the state and affect the greater livelihood of the people shall be under the power of the state. That article also provides that the land, waters and natural resources of the country shall be under the powers of the state and used for the greatest benefit of the people. The core of the Electricity Law and electricity supply, therefore, is to achieve social welfare. able to achieve sustainable development. Further, the Energy Law provides that the purpose of energy development is to increase energy access for unfortunate and isolated citizens and to reduce regional disparity with respect to availability of enough power and related infrastructures. Other than the general policy objectives, there are no specific public service obligations. At the central government level, the highest authority is the House of Representatives, which has full authority to promulgate laws on electricity. Second is the President, who has authority to determine policies, regulations, management, and implementation of the electricity supply. The MEMR monitors and supervises the electricity sector and implements the policies, law and regulations, and maintenance of electricity supply, including but not limited to establishing technical regulations and issuing licences. Under the MEMR is the DGE, who has the authority to formulate and carry out policies and technical standards under the MEMR. The National Energy Council is responsible for developing the National Energy Policy for the House of Representatives’ approval, most recently the National Energy Policy for the period 2014-2050. In some regions in Indonesia, the provincial (and regional) government may promote electricity development by giving support to certain types of IPP, such as mine-mouth coal-fired power plants, in the form of accelerated issuance of permits, licences, approvals and recommendations. For example, in April 2014, the Governor of Sumatera Selatan issued a letter supporting the development of mine-mouth coal-fired power plants that utilise low-rank coal (below 3,000kcal/kg) and offering to assist in the process of obtaining location permits and environmental licences. Such preference is not recognised by the MEMR, which gives the same treatment for every type of IPP. The provincial and national houses of representatives reserve the right as consultation regulatory bodies for the central and provincial governments when drafting the national electricity master plan and giving approval of electricity tariffs. The main authorities of the Central and Provincial Government are as follows. impose administrative sanctions on business entities whose licences are issued by the central government. impose administrative sanctions on business entities whose licences are issued by the regional government. issue licences for implementation of electricity networks for telecommunications, multimedia and informatics. issue Technical Competence Certificate on Electricity (SKTTK). The DGE has the authority to stipulate implementing regulations of MEMR regulations and to supervise and monitor the electricity sector. The electricity sector is regulated exclusively by the central and provincial governments. There is no independent regulatory authority. The forum to challenge or appeal a regulation or decision of a regulatory body (provincial and national houses of representatives, the MEMR or governor, and the DGE) depends on whether the decision affects public or private interests. Permits, licences and approvals affecting private interests are challenged through the Administrative Court based on Law No. 15 (1985) on Administrative Court, as amended. In the event a regulatory instrument affects the public interest (ie, issuance of a law or regulation), judicial review can be requested in the Constitutional Court (for laws) or Supreme Court (for regulations). It is important to note that to engage in electricity business in Indonesia the investor must establish a single purpose company, which cannot engage in multiple business sectors. Therefore, merger with or acquisition of a company in another sector is not allowed. However, it is possible for an electricity company to be acquired by a company that engages in another sector. There is no longer a requirement to obtain approval from the BKPM for a change of shareholding composition of a target company. Any change of shareholding composition will require only an update of the target company’s data in the OSS system. In the event that an acquiring company that holds a company engaging in the electricity sector intends to acquire another company engaging in the electricity sector (ie, a parent company of a transmission network company intends to acquire a distribution network company), it may be subject to review by the Commission for Supervision of Business Competition (KPPU), which has the authority to unwind mergers and acquisitions that lead to monopoly, anticompetitive business practices, or market concentration. Under the Electricity Law, PLN as a state-owned enterprise has been prioritised to conduct electricity business in Indonesia, including generating and providing electricity. As such, PLN is exempt from the Anti-Monopoly Law (Law No. 5 of 1999). Besides the KPPU, under Indonesian investment regulations, acquisition transactions shall always refer to the Negative Investment List based on Presidential Regulation No. 44 of 2016, which regulates foreign share ownership of specific sectors, including electricity. Based on Government Regulation No. 57 of 2010 on Merger or Consolidation of Business Entities, the KPPU’s assessment is based on the resulting asset value of the company after merger or acquisition. Transactions resulting in combined assets exceeding 2.5 trillion rupiah or combined sales turnover exceeding 5 trillion rupiah are required to notify the KPPU no later than 30 days after the transaction takes effect. The KPPU will review the transaction within 90 days of receiving notification. Delay in notifying the KPPU can result in fines of 1 billion rupiah per day, up to 25 billion rupiah. Notification to the KPPU is not required for merger or acquisition between affiliated companies. The KPPU has the authority to investigate, review and sanction anticompetitive behaviour by companies. Because the only significant player in the electricity sector to date is PLN, and electricity tariffs are stipulated or approved by the government, anticompetition concerns have not arisen in Indonesia. Second, the law prohibits activities that lead to monopoly, monopsony, market dominance, and conspiracy. The difference between prohibition of contracts and activities is the scope of the prohibition. The prohibition of contracts applies only to arrangements between two or more business entities, while the prohibition of activities could apply to a single business entity. The third category involves prohibition of the abuse of a market dominant position. The abuse of market dominance provisions of the Anti-Monopoly Law focuses on regulating interlocking directorates, share ownership, and mergers, acquisitions and dissolutions. issuing fines up to 25 billion rupiah. The current Negative Investment List provides some limitations on foreign ownership in the electricity sector. Power generation under 1MW is closed to foreign investors. Generation from 1MW to 10MW may be conducted through a partnership with local entities in which foreign investors are limited to 49 per cent share ownership (67 per cent for geothermal), while, for electricity generation above 10MW, electricity transmission, and distribution, the foreign investor may hold up to 95 per cent, or 100 per cent in the context of public-private partnership during the concession period. The Negative Investment List now also allows up to 49 per cent foreign investment for construction and installation of mid- and high-voltage electricity facilities, which formerly was restricted to domestic investment. For producers of biomass pellets, foreign investors may own 100 per cent shares with no further requirement for entering into a joint venture or partnership with a local company. The above foreign ownership limitations do not apply for companies operating in special economic zones (Kawasan Ekonomi Khusus - KEK). The Electricity Law recognises transmission and distribution grids as the only form of interconnectors. The transmission and distribution businesses are subject to IUPTL as the main operating licence. A WIUPTL must be secured prior to the IUPTL application. As previously explained, there may be only one business entity in a WIUPTL. The applicant must also fulfil commitments to secure an IMB, location permit, and an environmental licence from the OSS on behalf of the local government and must compensate any party whose assets (land, buildings or plants) are directly or indirectly affected by the transmission or distribution network. Furthermore, in accordance with MEMR Reg 5/2014, a transmission or distribution installation must secure an SLO before being allowed to operate. the cross-border electricity sale must not interfere with the quality and reliability of domestic supply. the purchase does not neglect the development of domestic electricity supply capacity. The price of cross-border electricity must be related to the economic value of the electricity and must be approved by the MEMR. Cross-border electricity sale and purchase activities are also subject to customs regulations. There is no tariff for cross-border electricity interconnection in Indonesia. Further study of extra high-voltage cross-border interconnection between Indonesia and Malaysia through the Sumatera and Borneo grids is still progressing. 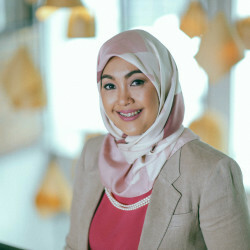 Indonesia is in the process of amending its regulations regarding cross-border interconnection, including updating Presidential Regulation No. 77 of 2008 on Ratification of Memorandum of Understanding on the ASEAN Power Grid and Government Regulation No. 42 of 2012 on Cross-Border Power Purchase. To date, there are no rules that restrict transactions between an entity carrying out electricity supply business and its affiliates, although in general, affiliated transactions are required to follow the arm’s-length principle, and arm’s-length pricing documentation should be maintained. State-owned enterprises can directly appoint their affiliates for goods and services procurement under certain conditions, if the arm’s-length principle is also met. Affiliated transactions are subject to scrutiny by the Directorate General of Taxation, which has an aggressive transfer pricing unit. Sanctions for improper transfer pricing involve stiff penalties. The MEMR recently enacted MEMR Regulation No. 48 of 2017 dated 3 August 2017 on The Supervision of Business in the Field of Energy and Mineral Resources (MEMR 48/2017). MEMR 48/2017 regulates the requirement to obtain an approval or notify the MEMR for certain changes in the shareholding composition or management of a company engaging in the energy and mineral resources business, including IPP Companies. Based on MEMR 48/2017, an IUPTL holder that sells its electricity to PLN is not allowed to change its shareholding composition before the Commercial Operation Date. An exemption to the above is made only if the transfer of shares is performed to an affiliate of the majority shareholder, which 90 per cent of its share is owned by such majority shareholder directly. Such transfer requires an approval from PLN. The share transfer should also be notified to the MEMR through the DGE after the notification from the Minister of Law and Human Rights (MOLHR) is obtained. An IUPTL holder must also notify the changes in the composition to its Board of Directors or Board of Commissioners to the MEMR through the DGE after the notification from the MOLHR is obtained. Introduction of the OSS system as an integrated licencing service for all central and regional licences is also new to the licencing regime. The OSS system was officially launched on 9 July 2018. The two types of licences introduced in GR 24/2018 are the business licence and the operational or commercial licence. Business licences are licences obtained to commence business or activities before the company’s commercial or operational phase. Business licences in the electricity sector include IUPTL, Operational Licence, Electricity Working Area Stipulation, Cross-States Electricity Sales Licence and the IUJPTL. Commercial or operational licence includes the SLO, Electricity SBU and SKTTK. Further, the president passed Presidential Regulation No. 13 of 2018 on the Implementation of Know Your Beneficial Owner Principle by Corporations for the Prevention and Eradication of Criminal Acts of Money Laundering and Terrorism Financing (PR 13/2018), which became effective as of 5 March 2018. PR 13/2018 requires corporations to disclose their beneficial owners (ie, individuals) to relevant authorities. 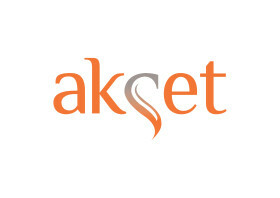 AKSET was established in 2010 by four experienced Indonesian lawyers: Dea, Kadri, Johannes, and Abi with the vision of creating an international caliber Indonesian law firm.